Launch logger is a flight history tracking tool for use in rocketry. This tool has been designed to allow a single user share their history with others. The sharing can be selected between a group, all, or even on one else if desired. This sharing is set on each item. If you want to share your motors but not your rockets is can be done. You can even share only select items with your group or other people. 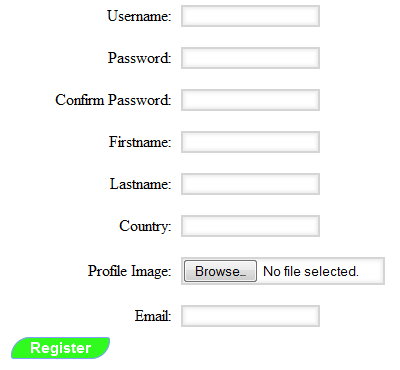 Each user must register an account to be able to use launch logger. The process is very simple to complete. Only a small amount of infomation is gathered from each user. The username must be unique and a profile image can be chosen to upload. The password used should be easy enough to remember yet a challenge to others. There are several fields to enter information about each rocket added. While each rocket has is comprised of many of the same things not all are the same. Some may have more than one stage, while others might have a cluster design. To be able to handle even the most complicated of designs, it is possilbe to have a staged and clustered rocket. Once motors and rockets have been created it is time to go fly some rockets. Several pieces of data are stored from every flight. Most flights may not have a payload and some could have more than one it can all be recorded. Retrevial of the information is just as simple. Everything record can be brought back up. The data is sorted and displayed in easy to read tables. This data is not viewable by others unless if is set to viewable by group or others. All registered Trademarks are property or their respective owners.